Two cheetah smugglers were prosecuted in Somaliland, in the first wildlife criminal conviction of its kind in the country. Somaliland is considered a gateway in trafficking animals to the Gulf region. At least 35 cheetahs are reported to have been traded so far this year. Conservation groups welcomed the pair’s arrest and prosecution, saying it demonstrated a genuine commitment to preventing this trade. Authorities caught the smugglers in a raid in the Berbera district, 140 kilometres north-east of the capital Hargeisa, on August 5. They seized six cubs aged between three and seven months. Patricia Tricorache, a spokeswoman for the Namibia-based Cheetah Conservation Fund, welcomed the arrests but said the authorities needed the continued international co-operation to intercept more cheetahs destined for the Gulf. “This recent conviction of two cheetah smugglers is a first in the region and demonstrates the willingness of authorities to counter illegal cheetah trafficking,” she said. “However, while 10 cheetahs have been confiscated in Somaliland this year, this represents only a third of all reported cases known to us there. “The demand in the Gulf states appears to remain unchanged, with cheetah cubs still offered for sale there on social media. The Cheetah Conservation Fund is rehabilitating the rescued cubs, who were suffering from malnutrition and dehydration. The smugglers were convicted of several wildlife trafficking offences and sentenced to three years in prison and fined $300 (Dh1,101) each. 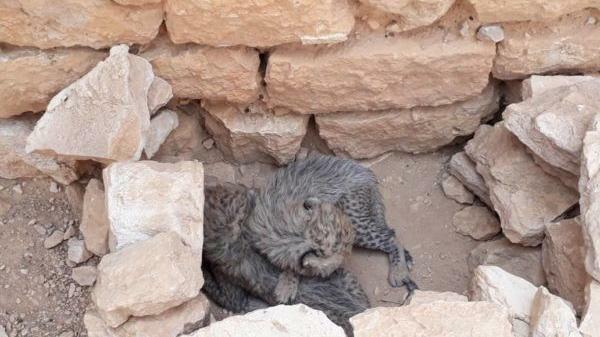 On August 28, two more cubs were confiscated by Somaliland authorities, in a remote part of the Hargeisa region. Conservationists have long pointed to the Port of Berbera in the East African state as a key transit route for game and other wildlife smuggled from Ethiopia, Kenya and beyond. It is estimated as many as 300 cheetahs are taken through Somaliland every year, with many sold illegally in the GCC. The Somali region has been plagued by violence and political uncertainty for more than two decades. Thousands of people have been displaced by the fighting between government forces and the rebel Ogaden National Liberation Front. Animal welfare groups monitoring cheetah sales point to corrupt officials and poor border control as key factors in Somaliland that attract smugglers. Its proximity to wealthy Arab states, where the animals have been seen as status symbols, has heightened the problem. Days before the latest arrests, five international conservation policies were ratified in Somaliland to help the fight against poaching and wildlife trading. So far this year, 10 cheetahs destined for the black market have been confiscated in the country, although those monitoring the industry through online sales adverts say this is just a small percentage of the total number being exported. A global report on animal trafficking by the US Agency for International Development also highlighted Kenya and the UAE as primary transit centres for wildlife movement between Africa and Asia. The In Plane Sight dossier ranked the UAE third on a global list of reported trafficking cases, behind China and Thailand. Between 2009 and 2017, 117 cases of illegal wildlife trafficking were recorded at UAE airports. Authorities also recorded 47 confirmed instances of cheetahs being smuggled through Somaliland to the GCC between 2011 and 2017. Yesterday, experts said breaking up traditional routes into the GCC could inflate prices for cheetahs, possibly raising the incentive to capture more. “This number of cheetahs being trafficked might seem insignificant when we hear about tons of ivory or other wildlife products, but these animals are from a very small wild population of only a few hundred in Ethiopia, northern Kenya and Somalia,” said Ms Tricorache.